A lot of thoughts and ideas are put together for making a perfect playground. As it is the most favorite place for kids, you need to be correct with all of your decisions whether it is related to their enjoyment or safety. The first thing you should consider is to make the playground area accessible for children, caregivers, parents and grandparents with special abilities. Recently, Department of Court Justice has adopted the revisions to American with Disabilities Act (ADA) Standards. The revisions also include that playground created in public areas like communities should be an ADA compliant. Hence, it would be great if you begin with designing your playground layout in a way that physically challenged people can cross the boundaries without facing any difficulty. 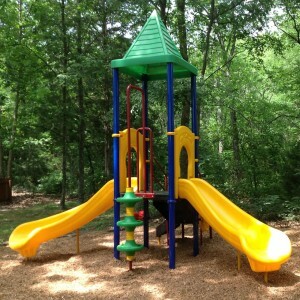 Plan how much you are going to spend on purchasing the playground equipment. After deciding your budget, start looking for different types of play sets that run high on fun factor. There is a wide variety of play equipment like swing sets, slides, play houses, dome climber and see-saw that can be installed in commercial playgrounds. These can be purchased online or visiting the tangible shops near your area. No matter which option you choose, make sure you are buying the equipment from IPEMA certified manufacturer. Ensure that equipment is made of superior quality material as per guidelines defined by American Society for Testing and Materials (ASTM) and Consumer Product Safety Commission (CPSC). Do categorize the equipment as per the age brackets of kids so that parents can easily judge which equipment is appropriate for their children.